The successful author Hans-Günter Heumann adds another interesting facet to his piano with this Classics version. All the great masters of music history are represented with famous works. Bach, Strauss, Liszt, Mozart, Beethoven, Händel, Tchaikovsky, Grieg or Chopin: they all make the hearts of pianists beat faster. Among the 50 classical pieces in this book are many that have already been used as background music in well-known Hollywood films. Thus the circle closes to the concept of this series to unite hits and film music in one book. Heumann's unmistakable arrangements can be played by beginners, beginners and advanced players alike. All songs contain tempo, fingerings and chord symbols. 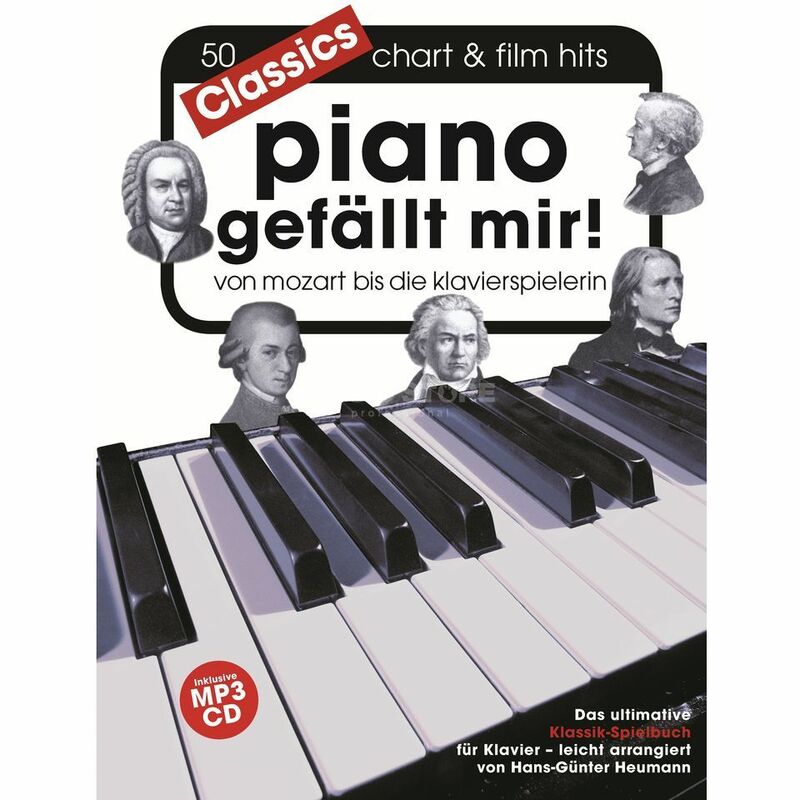 In the present version, the book also contains an mp3 CD containing the piano versions of the pieces. Also available without mp3-CD under the order number NOT0011231-000.